The Nimbus was manufactured by the firm of Fisker & Nielsen of Copenhagen. This company was formed in 1905 to manufacture electric motors; in 1910 the Nilfisk electric vacuum cleaner was marketed. This product was a great success and it was soon sold in many countries all over the world. 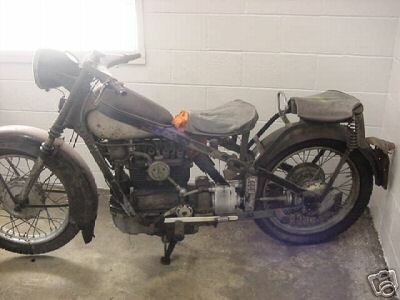 In 1919 the first Nimbus four motorcycle was brought out. It was a remarkable design, since no steel tubing was used in the frame. 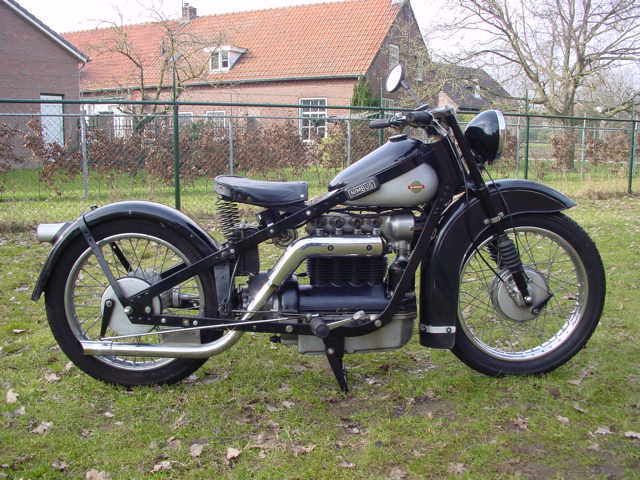 Instead flat steel strips were used with the long, cylindrical petrol tank welded in place. 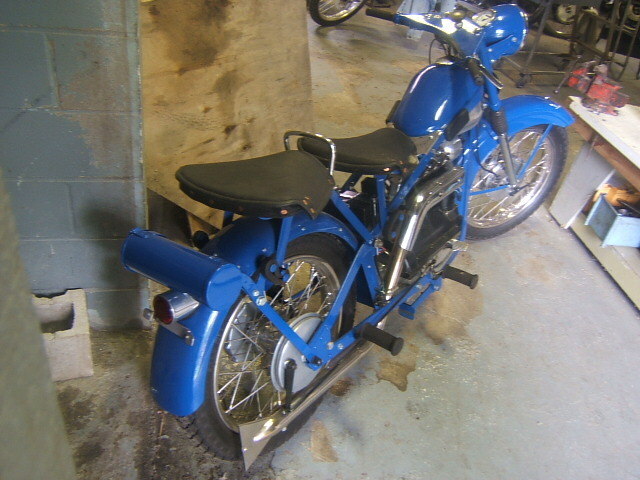 Front and rear springing were available. This remarkable design was soon dubbed the stove pipe because of the distinct shape of the petrol tank. 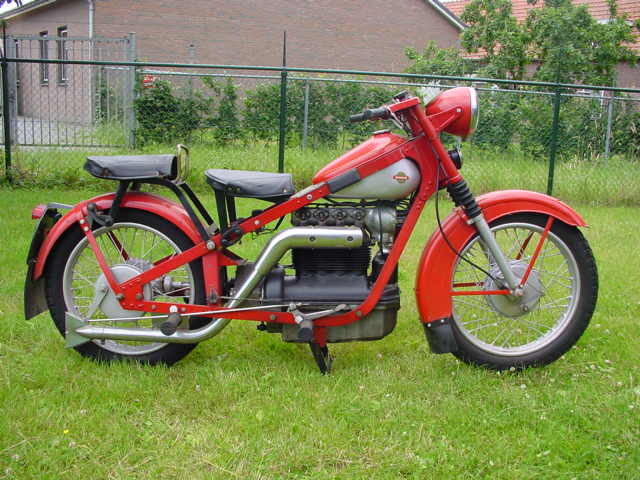 In 1928 the firm was no longer able to cope with the large scale production of both motorcycles and vacuum cleaners, so it was decided to stop motorcycle production, after some 1,300 machines had been made. This decision was soon regretted: in 1934 a new building was commissioned and the Nimbus II was brought out in April of that year. The flat steel strip frame was a feature in common with the stove pipe, but most other features were totally new: the top half of the crankcase was cast in one piece with the ribbed air cooled cylinder block. The iron cylinder head sported an overhead camshaft. The crankshaft drove the overhead camshaft through the upright mounted dynamo via sets of bevel gears. 12,715 were produced between 1934 and 1959. 1949 Nimbus 4-cylinder, registered in USA.